Here is the guide on How to Get Started with Linux. The world of Linux is ready to welcome you, Linux for Absolute Beginners with a shower of free open-source software you can use on any PC: hundreds of active Linux distributions, and dozens of different desktop environments you could run on them. It’s a far cry from the one-size-fits-all, this-is-just-what-comes-with-your-PC vision of Windows.Everything from software installation to hardware drivers works differently on Linux, though, which can be daunting. Take heart—you don’t even need to install Linux on your PC to get started. Linux Tutorial for Beginners. Here’s everything you need to know. Easiest Linux for Beginners. 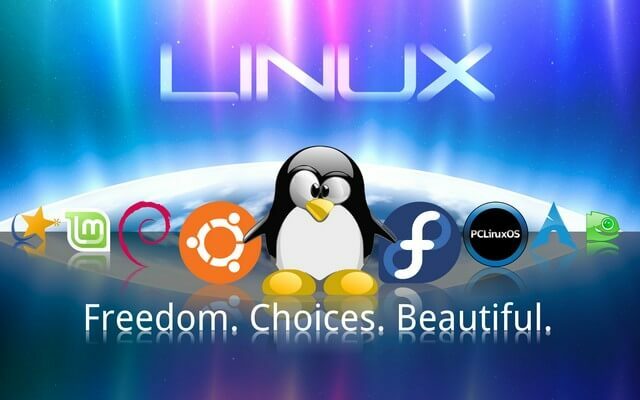 The first step is choosing the Linux distribution you’ll want to use. Fedora Linux with the Gnome Shell desktop. Unlike Windows, there’s no single version of Linux. Linux distributions take the Linux kernel and combine it with other software like the GNU core utilities, X.org graphical server, a desktop environment, web browser, and more. Each distribution unites some combination of these elements into a single operating system you can install. DistroWatch offers a good, in-depth summary of all the major Linux distributions you might want to try. Ubuntu is a fine place to start for former (or curious) Windows users. 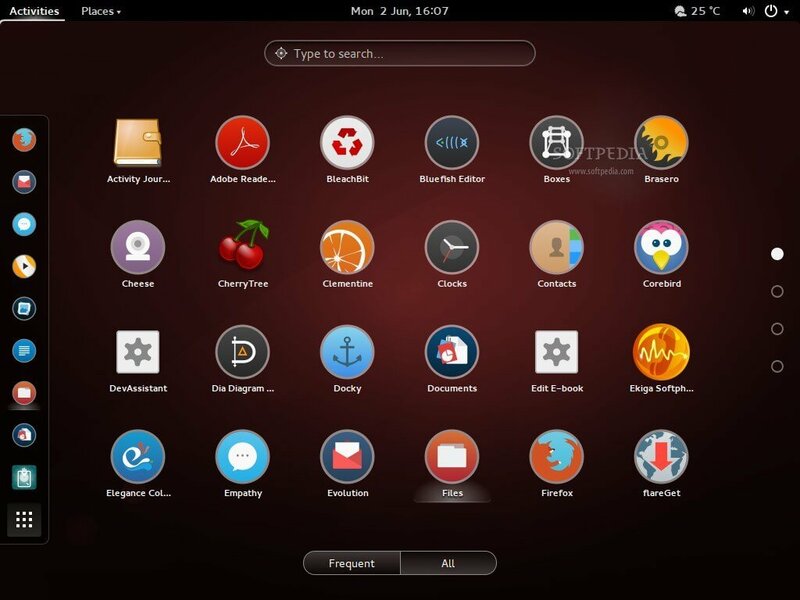 Ubuntu strives to eliminate many of Linux’s rougher edges. 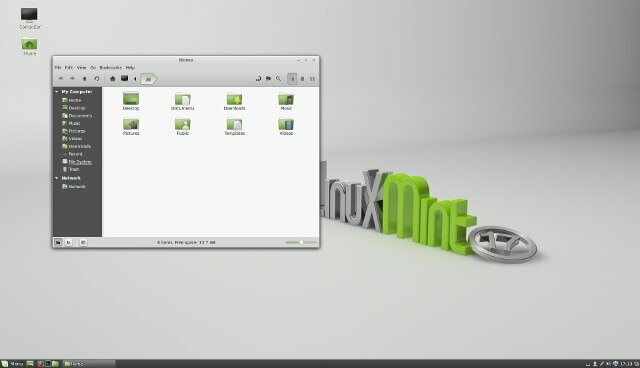 Many Linux users now prefer Linux Mint, which ships with either the Cinnamon or MATE desktops—both are a bit more traditional than Ubuntu’s Unity desktop. 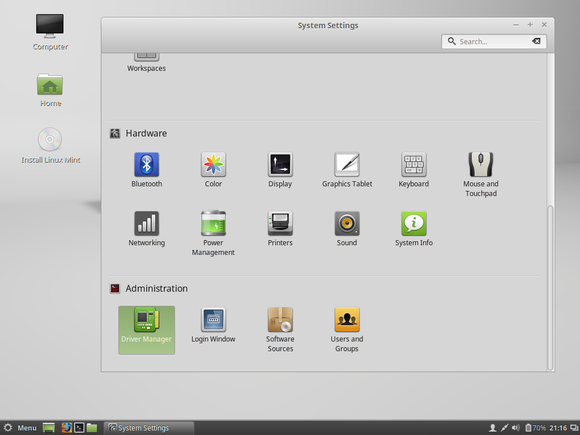 Linux Mint with the Cinnamon desktop. Choosing the single best isn’t your first priority, though. Just choose a fairly popular one like Linux Mint, Ubuntu, Fedora, or openSUSE. Head to the Linux distribution’s website and download the ISO disc image you’ll need. Yes, it’s free. 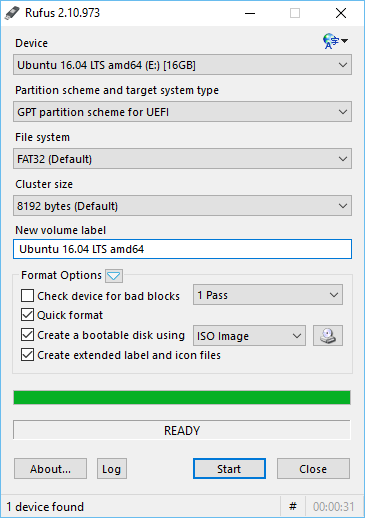 You can use the Rufus to easily create a bootable thumb drive using an .ISO image of a Linux distribution. You can now either burn that ISO image to a DVD, or use a tool like the Rufus to copy that Linux system to a USB drive. Placing it on a USB drive is a better idea, if possible—the live system will boot and run faster. But if you plan on installing it immediately, a disc is also fine. That’s the way it’ll work on a typical Windows PC, anyway. If you want to use Linux on a Chromebook, Raspberry Pi, or another type of device, there are special instructions you’ll need to follow. Now you’ll need to boot that Linux system. Restart your computer with the disc or USB drive inserted and it should automatically boot. If it doesn’t, you may need to change yourBIOS or UEFI firmware boot order, or select a boot device during the boot process. On modern Windows PCs that came with Windows 8, you may have to disable Secure Boot before booting Linux. Some Linux distributions will boot normally with Secure Boot enabled, while some won’t. Most of the larger distributions will. Your Linux distribution of choice probably allows you to use it in a “live” environment, meaning it runs entirely off the disc or USB drive and doesn’t actually need to be installed to your computer’s hard drive. Just use the Linux desktop normally and get a feel for it. You can even install software, and it’ll remain installed in the live system until you reboot. Fedora’s Live CD interface, like most Linux distributions, lets you choose to run the operating system from your bootable media or install it to your hard drive. Even if you don’t want to use Linux as your everyday operating system, having this Linux live DVD or USB drive around can be useful. You can insert it into any computer and boot Linux whenever you want. Use it to troubleshoot Windows problems, recover files from a corrupted system, scan an infected system for malware, or provide a secure environment for online banking and other important tasks. Another handy trick: If you enable the “persistence” option when putting Ubuntu on the USB drive, you can save files and settings to the drive and they’ll remain accessible every time you boot it. To leave the live Linux system, just reboot your computer and remove the disc or USB drive. Depending on which Linux distribution and desktop environment you choose, your desktop environment and installed applications will vary—though most will cover your typical needs. 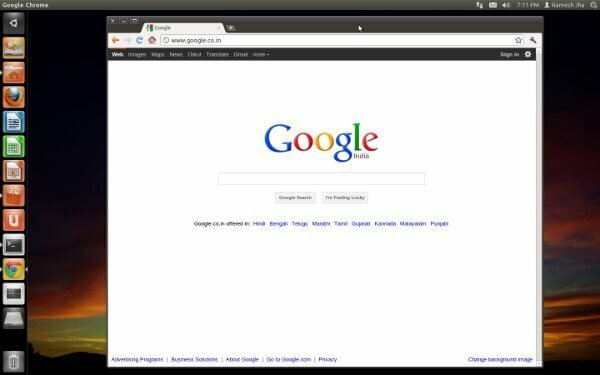 Most Linux distributions ship with the Firefox web browser, for example, and Google’s Chrome or the open-source Chromium browser are just a few clicks away. 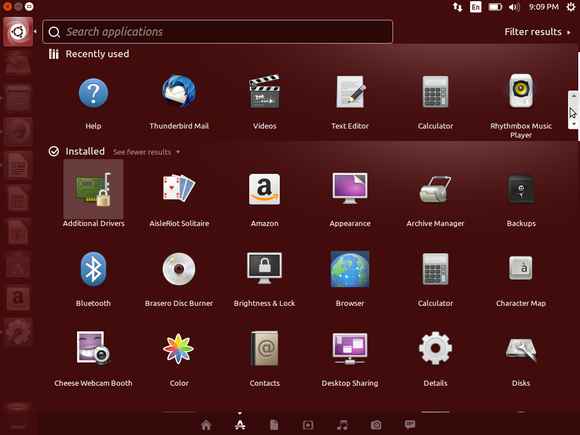 Ubuntu Linux’s “Dash” applications list. Your desktop environment should have all the standard bits: an application menu, some sort of taskbar or dock, and a notification area or “system tray.” Click around to see what everything does. You should also find a collection of system configuration utilities, which will let you configure your hardware and make your desktop work the way you’ll like it. Ubuntu’s Unity desktop can be quirky, but it’s packed with useful features you’d never find on your own, like the HUD. Read my Ubuntu guide for displaced Windows users for more details. Be sure to enable virtual desktops (most modern Linux desktops have disabled them by default) and give them a shot, too. (Windows users are about to discover how useful they are in Windows 10). You have choices about when and how to install Linux. You can leave it on a disc or USB drive and boot it up whenever you want to play with it. Play with it several times until you’re sure you want to install it. You can try several Linux distributions in this way—you can even re-use the same USB drive. The big reasons to install Linux instead of just running it from a USB drive or disc are productivity and convenience. Unlike running Linux live, installed Linux will remember your settings, keep your installed software, and maintain your files between reboots. Once you’re ready to take the plunge, installing Linux on your PC is easy—just launch the installer provided in the live Linux environment. You have yet another choice here, though: You could wipe away your existing Windows system (assuming that’s your current OS) and replace it with Linux, but installing it in a “dual-boot” configuration, or “alongside Windows,” in Ubuntu installer parlance, is the more flexible choice. The installer will resize your Windows partition to make room for Linux, and you can select which operating system you want to use every time you boot your computer. 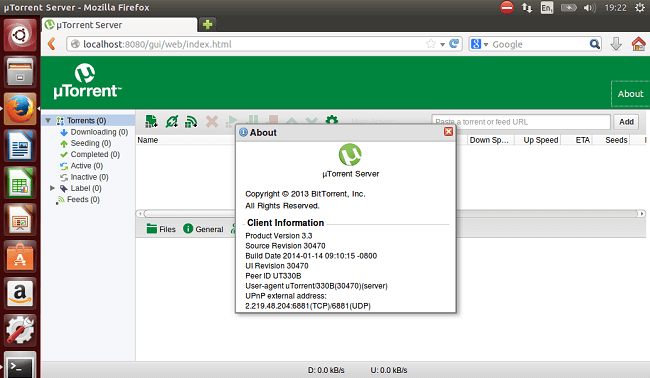 OpenSUSE’s YaST software management tool. Software installation on Linux works very differently from software installation on Windows. You don’t need to open your web browser and search for applications. Instead, look for the software installer on your system. 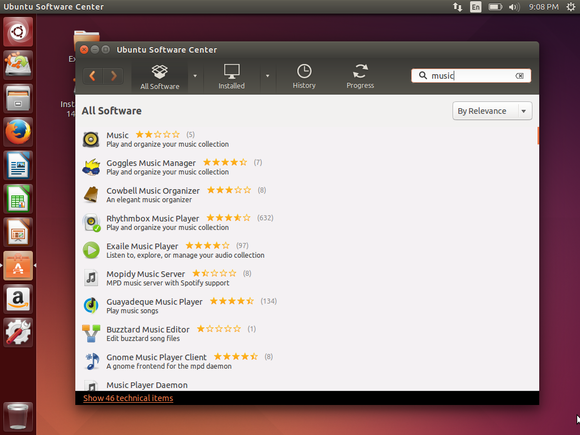 On Ubuntu, this is the Ubuntu Software Center. On Linux Mint, it’s the Software Manager. On Fedora, it’s just named Software. This isn’t just a fancy interface for downloading software from the web. Your Linux distribution hosts its own “software repositories,” containing software compiled to work with it. This software is tested and provided by the Linux distribution. 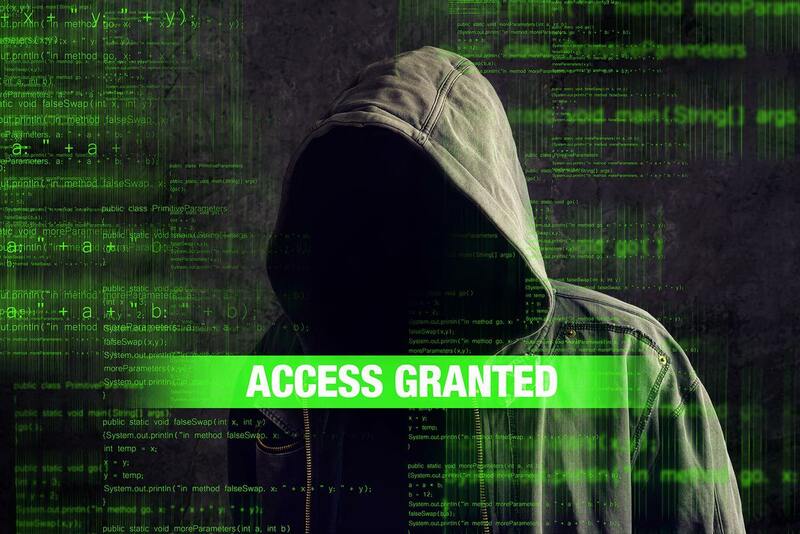 If security patches are necessary, your Linux distribution will provide them to you in a standard way. Basically, it’s like an app store full of free, open-source software—except Linux distributions were doing “app stores” like this long before Apple popularized the concept. Some applications—particularly closed-source applications like Google Chrome, Steam, Skype, Minecraft, and others—must be installed from outside your Linux distribution’s package manager. You can download these applications from their official websites, just as you would on Windows. Be sure to download the installer package designed for the Linux distribution you’re using. Contrary to widespread belief, you probably don’t need to install hardware drivers manually when you install the operating system. Most of the hardware drivers you’ll need are built-in on Linux. There are a few closed-source drivers you might want—the Nvidia and AMD drivers for optimal 3D graphics performance, or Wi-Fi drivers to make your Wi-Fi hardware work right. Ubuntu and Linux Mint will recommend these to you via their hardware driver tools, if necessary. Some Linux distributions may not help you install these at all. For example, Fedora doesn’t want to endorse closed-source Linux drivers. Despite the software installation differences, Linux should feel reasonably familiar for anyone who’s used a Windows desktop before. 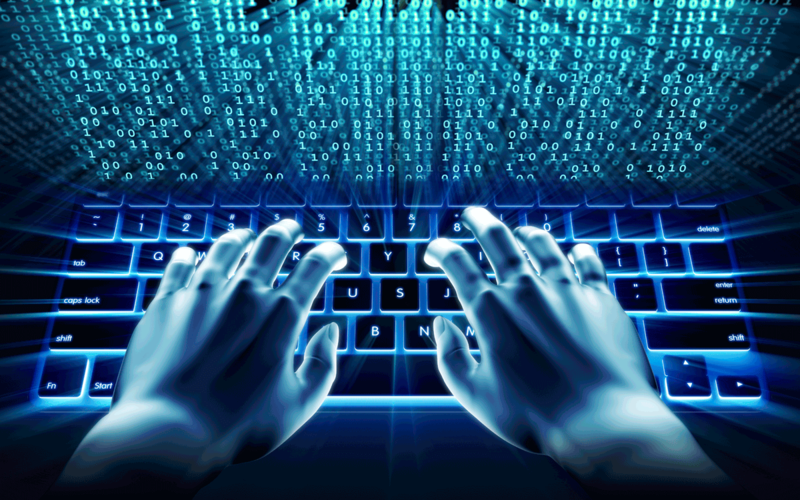 You’ll find windows, context menus, control panels, and more. Many of the applications you’ll use on Linux are popular programs you may have already used on Windows, from Firefox to VLC and LibreOffice. And now you have the basic knowledge you need to get started using Linux.